T+A's new e-series - its most affordable electronics range to date - has just expanded, with the inclusion of a new integrated amplifier. The new Power Plant stereo amp will be available in a matter of weeks and breaks new price ground for the German electronics specialist. 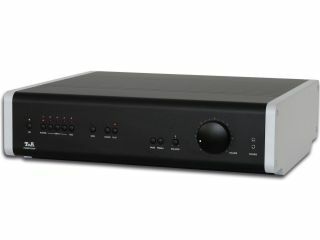 The125-watt stereo amp comes in at just £1,100 and features five line-level inputs, a preamp output, a headphone socket and RS 232 connectivity. Although there is no phono stage as standard, the Power Plant can be specified with an optional MM/MC phono module for vinyl users who don't already have a separate phono stage. The amp's proprietary switch-mode (digital) output stages are completely new and are said to be a development of the power amplifiers used in its high-end TCI active loudspeakers. Made in-house, the output stages use a discrete construction and come with the latest, ultra-fast MOSFET transistors. Naturally efficient, the technology is said to give, "a highly controlled, harmonious sound image with well defined and perfectly contoured bass". T+A goes on to say, "If correctly designed, digital output stages can sound superb as well as generating enormous power, with low levels of waste heat".